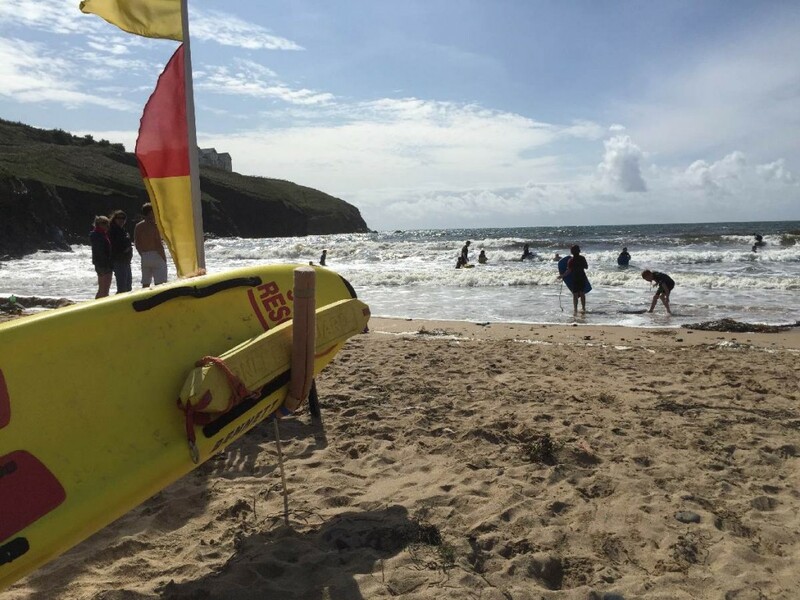 Lifeguards patrol the beach from April — September, making it a safe family friendly beach for swimming or body boarding. There is also Dan Joel’s surf school situated at the top of the beach, they take bookings through the summer season, if you want to try surfing like the locals do! The cove is set amongst two large cliffs, therefore making it sheltered most of the year, perfect for those windy days. Ideal for long summer days with the family and a picnic and for winter walks with the four legged friends, (dogs are banned from Easter Sunday — 30th September). On the coast path heading south from the cove approximately ten minutes walk from the beach you will find the Marconi Centre, the information hub sits on the exact spot that Marconi sent messages across the Atlantic to Newfoundland, it opened in 2001, one hundred years after that first message from Poldhu was transmitted. 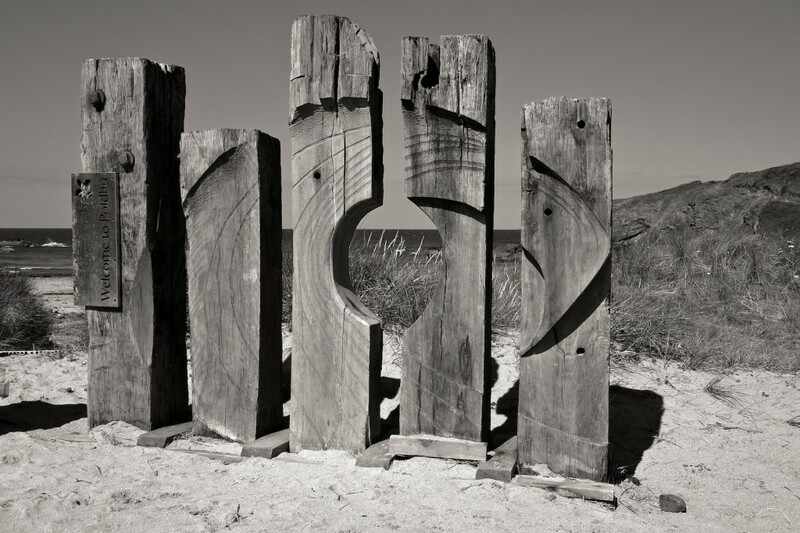 The beach is owned by The National Trust, the sculpture as you enter the beach was installed in 2013 designed and made by a local carpenter. 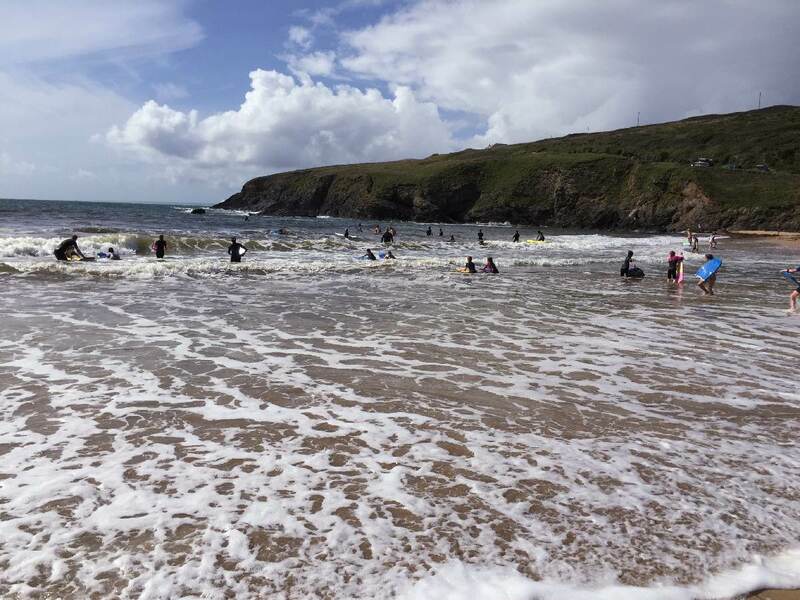 There is a litter picking group called The Friends of Poldhu, who work tirelessly to keep the beach clean along with the National Trust to conserve the sand dunes and the small reed bed at the back of the beach and keep the beach tidy. Poldhu is worth a visit, it is a typical Cornish cove, with a flavour of Lizard scenery.